Based on the strong relationships we have built with our Alliance Partners, we are able to offer our clients the best possible service at the lowest possible cost. While our “at-cost” administration fees save money, the big savings Union Benefits delivers to our clients is derived from the massive volume-buying power we bring to the table. We call it “Strength in Numbers” and only Union Benefits has it. 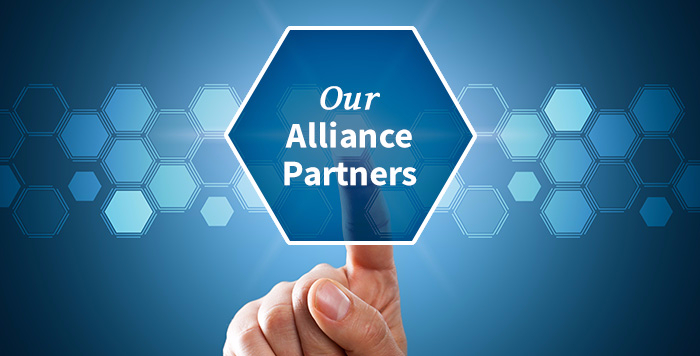 Each Alliance Partner is a leader in its field. Put them together and the teamwork begins. It all boils down to delivering the best possible service and solutions, and thanks to the power of volume purchasing and/or customized service, delivering value to clients. *All clients at Union Benefits use SSQ Financial for the insured benefit component of their benefit plan. While most clients choose to use our Alliance Partners, it is not required and clients are free to use the supplier of their choosing.